Rekha Rampersad (Doctor of Chiropractic) visited numerous health professionals including a GP and an orthopaedic specialist who provided medications that only offered temporary relief. Fortunately, a family member suggested chiropractic and after just a couple of visits, she could sleep again. Within six visits, Rekha Rampersad (Doctor of Chiropractic) was able to hold a pen again without her hand going into spasm and was able to confidently sit through exams. This dramatic improvement, coupled with the wonderful experience, inspired her to take up chiropractic as a profession. When she’s not at the practice, Rekha Rampersad (Doctor of Chiropractic) is always reading about the latest chiropractic research and wellness information. She enjoys the theatre, likes being outside in nature and enjoys staying healthy and fit. Rekha Rampersad (Doctor of Chiropractic) is part of the United Chiropractic Association (UCA), and is registered with the General Chiropractic Council (GCC). She also supports Help for Heroes, and aims to get involved in many of her patients’ charities. 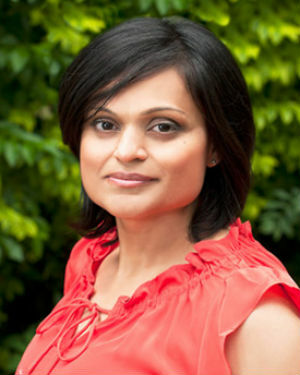 Call today for a free 10-minute consultation with Rekha Rampersad (Doctor of Chiropractic)!